Experimental filmmaker, choreographer, dancer, film theorist, poet, lecturer, writer and photographer, Maya Deren was a seminal figure in twentieth-century avant-garde art and theory. To begin with Deren’s words is to follow in the footsteps of Pascalle Burton’s and Nathan Shepherdson’s UN/SPOOL and A gram of ideas on art, form and film – twinned works that are simultaneously homages to, and dialogues with, Deren’s own work and ideas, and entirely new and original pieces of art. Presented in a glossy white box, with vibrant red endpapers, laser-cut grey covers (the stock is satisfyingly thick), and hand-stitched red binding, the book is as much an aesthetic object to be displayed and admired as it is a volume of poems. (A small slip of paper inside the box asks us to ‘Please handle (& read) with care.’) This blending of the poetic and plastic arts pays tribute to the collector’s preference for the limited, the bespoke and the handmade in an era of mass production. It is also consistent with the previous work, individual and collective, of Burton and Shepherdson who, like Deren, inhabit several generic spaces. 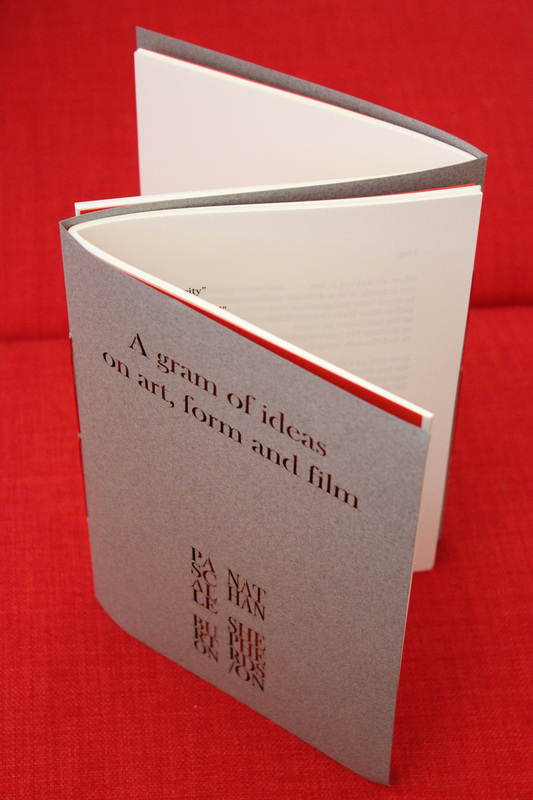 Bound dos-à-dos (back-to-back), the book consists of two ‘front covers’, with internal text that runs head-to-tail, and a single ‘back cover’ in the centre. Set within this shared cover, which like a fence both separates and joins the two parts, is a small, round hole – a passage between. To arrive at the end of and exit one work, therefore, is to enter and begin the other, albeit to travel through it in reverse. 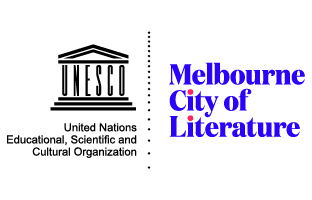 The choice of binding method not only foregrounds the manner in which UN/SPOOL and A gram of ideas relate – as autonomous yet intimately connected works – but also challenges our approach to the act of reading itself. Before we even open the book we are faced with a preliminary question: where to start? Given the freedom to decide, and in the absence of convention, we may look for signs of authorial intent to guide us: I took my cue from the poets, who placed the book inside the box with UN/SPOOL face-up and A gram of ideas face-down. But authorial intent (if it can be inferred here) can also be ignored, and another reader may have chosen differently. But after this brief cameo, Burton and Shepherdson withdraw behind a third collaborator, albeit an unwitting one – Maya Deren herself. As we are told in the tongue-in-cheek introduction to A gram of ideas (authored by a dubiously named ‘Sasseo Primitivo’, from the equally dubious ‘Occidental Film Criticism Institute (OFCI), Puglia’), Deren provides the source texts upon which UN/SPOOL and A gram of ideas are based. These are, respectively, Meshes of the Afternoon (a 1943 experimental short film) and An Anagram of Ideas on Art, Form and Film (the 1946 essay from which the opening quote to this review is taken). 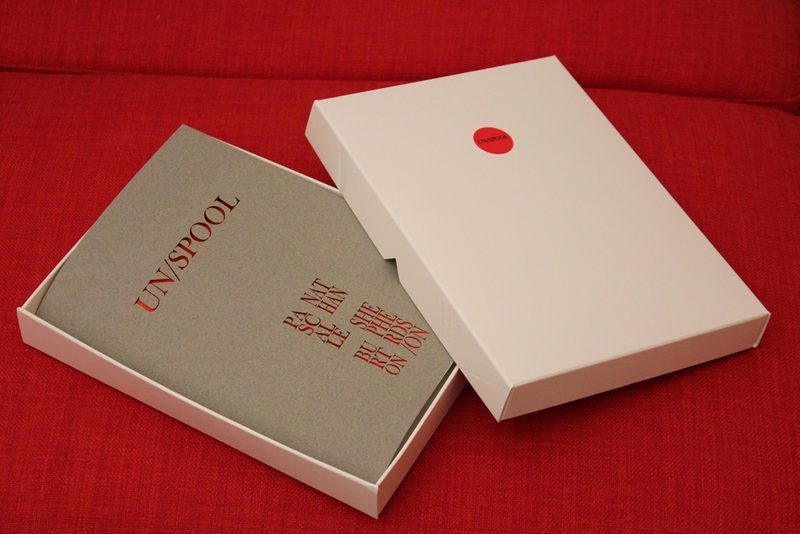 Beautifully observed and well-paced, UN/SPOOL extends Deren’s work into new generic territory: as well as a collection of poems on paper, UN/SPOOL is also a performance piece (first performed at the 2014 Queensland Poetry Festival). But it is in A gram of ideas on art, form and film, the second ‘prong’ of Burton’s and Shepherdson’s ‘two-prong Deren project’, where the fun really begins (at least for this reviewer). In this work, our poets have ‘collectively mined’ words and phrases (and punctuation marks) from Deren’s 1946 essay An Anagram of Ideas on Art, Form and Film. As an act of translation and collaboration between two forms that rely on the art of language, there is both more and less room to move; it is perhaps the narrowness of the space between that allows for the most interesting transmutations. I do not claim this to be an original attitude, for naturalism is presumably just such a transcription from the methods of science to those of art. My argument is that if such a procedure is to have any value, then it must be based on a thorough observation of the whole method, and not a tangential development of some portion of it. If the complex specialization of science in the 18th and 19th centuries obscured the basic design of its method, then it might even have been better to follow, as example some other field of achievement altogether. Just as the varying use of the word reason reflected the development of the concept of reason in the 17th century, so the current use of the word consciousness reveals the underlying concept of its function. In art, today a state of consciousness is understood as synonymous with a capacity for observation. This capacity may range, in degree, from the most simple sensory perception to the most complex analysis or the acute, associational insight. These are then recorded in a style of notation which may range from the defiantly awkward (proof of the fact that the original impression of a truth has not been tampered with) (Deren, An Anagram of Ideas, p. 21, my emphases). Comparison of the two fragments above, one poetic and the other essayistic, illustrates how shifts in meaning (or possible meanings) are catalysed by shifts in context. More importantly, they provide us with a key to composition. 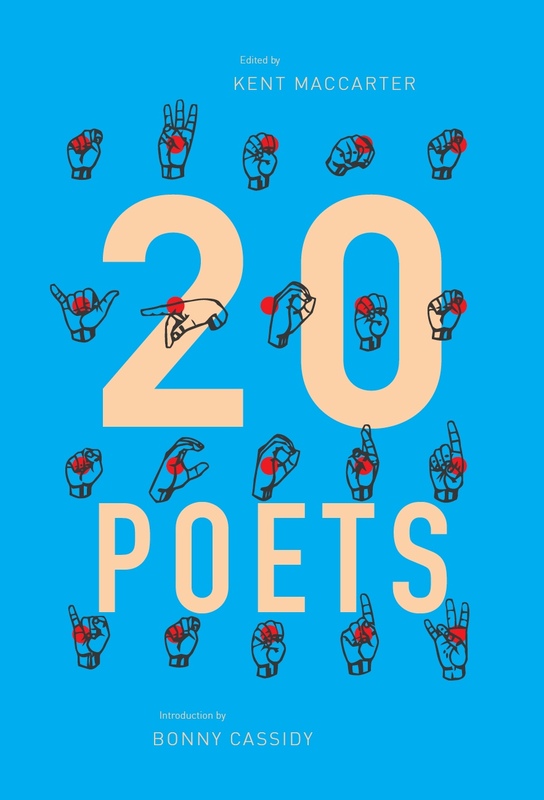 As Deren writes, in the craft of poetry ‘each word can be pried from its context and used as a springboard for creative action’ (An Anagram of Ideas, p. 25) – and this is precisely how Burton and Shepherdson proceed. The methodology of redaction evident above is followed for the rest of A gram of ideas: each poem in A gram corresponds to a page in An Anagram (although not every page in the essay is accounted for – there are instances, for example, where two poems mine the same page, or one poem ranges over two pages of Deren’s essay); and while words have been removed, the order of those remaining has been retained, running left-to-right and top-to-bottom in accordance with the source text. In its transition from old to new creative space the original has very much ‘been tampered with’, but there is a very deliberate Oulipian method in the madness. The effort of the artist is toward the creation of a logic in which two and two may make five, or, preferably, fifteen; when this is achieved, two can no longer be understood as simply two. This five, or this fifteen – the resultant idea or emotion – is therefore a function of the total relationships, the form of the work (An Anagram of Ideas, p. 24). Just as the ‘weight’ of individual poems is assigned an arbitrary figure, so the relative importance of each part of a larger work is arbitrary and indefinable; moreover, attempting to engage in reductionist analysis is glaringly beside the point. It is the new whole, indivisible and irreducible to the sum of its parts, that constitutes the work of art – and in this Deren echoes, almost to the letter, Pound’s Imagist manifesto: ‘A work of art is an emotional and intellectual complex whose logic is its whole form’ (Deren, An Anagram of Ideas, p. 25). This entry was posted in BOOK REVIEWS and tagged Bella Li, nathan shepherdson, Pascalle Burton. Bookmark the permalink. Bella Li is the author of Argosy (Vagabond Press, 2017), which won the 2018 Victorian Premier’s Literary Award for Poetry and the 2018 NSW Premier’s Literary Award for Poetry. Her second book, Lost Lake (Vagabond Press, 2018) was shortlisted for the 2018 QLD Literary Award for Poetry.